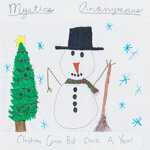 Mystics Anonymous is the name of singer/songwriter/composer Jeff Steblea's musical project. 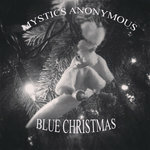 While Mystics Anonymous focuses on playing alternative rock music, the project has branched out to include original score music as well. 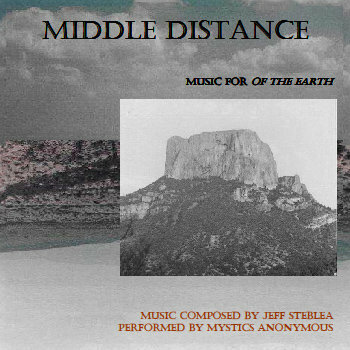 Jeff composed and recorded the instrumental score Middle Distance for the art exhibition Of the Earth, an exhibition of sculpture, painting and music which debuted at Artworks Gallery in Connecticut in 2003. 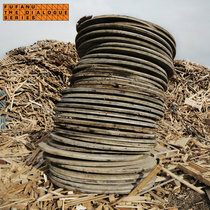 The score combines a variety of sounds and instruments to create a unique sound environment, at once primal, hypnotic, trippy, psychedelic, rhythmic, and trancelike. 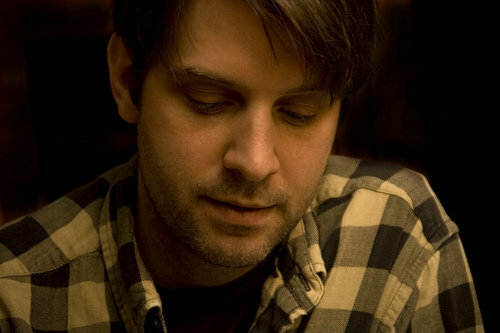 Middle Distance makes use of exotic percussion and drums, sound manipulation, guitars, bass, piano and keyboards, and vocals, among other ingredients. Middle Distance is a full-length CD, clocking in at about 55 minutes, that offers an exciting aural journey. 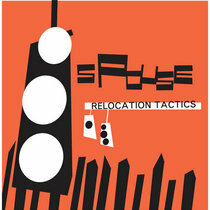 The beginnings of the CD focus on sound manipulation, sound collage, or soundscape to establish the environment. Drumming and percussion make up the majority of the middle third. 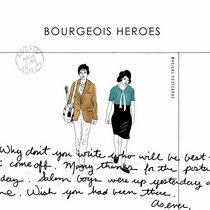 Then groove rhythms begin to add chord progressions and melody, and the CD ends with a brief vocal coda. 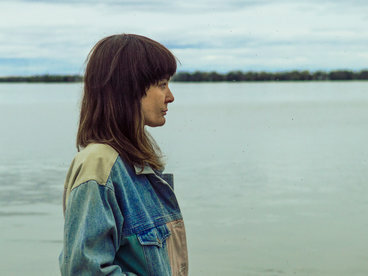 While Middle Distance is not meant to represent any specific culture, Steblea feels it is an evocative and primal piece reminiscent of the extraordinary landscape of the American Southwest. 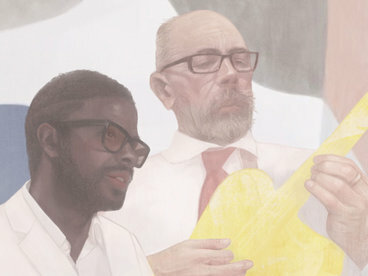 The exhibition Of the Earth was a joint project between sculptor Rachel Miller and painter Carol Chaput. Using the terrain, space, and earth forms of the American southwest, their collaboration explored the themes of ancestors, time, and memories of home. 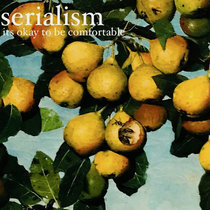 Reviewers have compared the music on this CD to artists such as John Lurie, Angelo Badalamenti, and Mickey Hart. 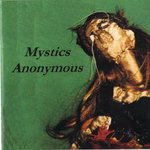 Two other CDs of Mystics Anonymous rock music are available here. 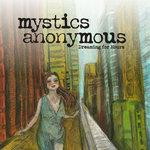 The debut Mystics Anonymous CD focuses on a rootsy alternative sound with confessional, poetic lyrics. 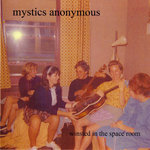 Winsted in the Space Room, the newest Mystics CD, is defined by an edgy, adventurous foray into lo-fi studio experimentation anchored by strong songs. 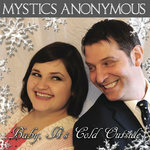 Although Mystics has an eclectic nature, Steblea's distinctive voice and songwriting skill are the glue that holds the project together and keeps its sound unique. This work is the soul, the rhythm, the self, the landscape—both the landscape we find ourselves in, and the landscape we find within ourselves. 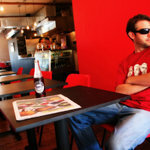 It is meditative, slow change. The sound that slowly becomes the pattern, the pattern that becomes the form. I hope it instills in the listener a sense of mystery, as they look out on the horizon or stare into these landscapes—what is it you see, out there, in the Middle Distance? Middle Distance was composed and recorded for the art exhibition Of the Earth featuring paintings by Carol Chaput and sculpture by Rachel Miller. All music was recorded, mixed & mastered at Gondwanaland. 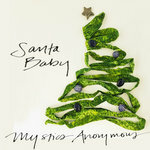 All tracks © and (p) Soul Reflect Music (BMI). 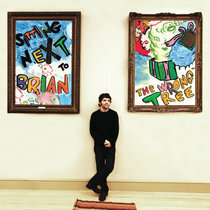 For optimum listening pleasure, this CD should be listened to LOUD or with headphones. As always, thanks to my friends, family & supporters. Special thanks to Ingrid Proescher, Carol Chaput, Rachel Miller, Eric Davis, Lou Davis, Don DeLillo, Mark Alan Miller at Slaughterhouse, Phred Rawles, Stephen Ward, CDBaby & IUMA. 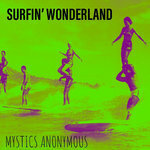 Mystics Anonymous is the music project of singer/songwriter/composer Jeff Steblea.